Teacher help Documents and Student help Documents! Great resource, screenshots & explanations specific to VSC Teachers and Students. 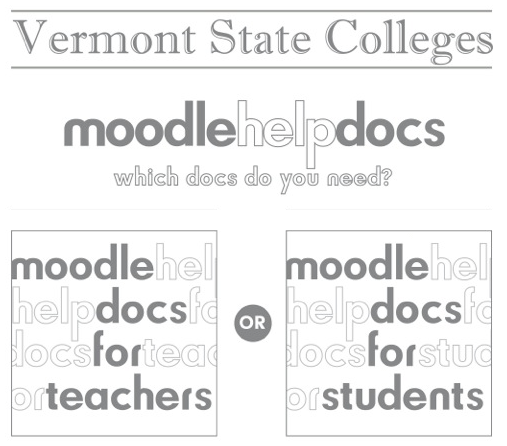 Check it out whenever you've got a Moodle question! Also try live help by going to the Moodle Medic, on the MyJSC Portal.